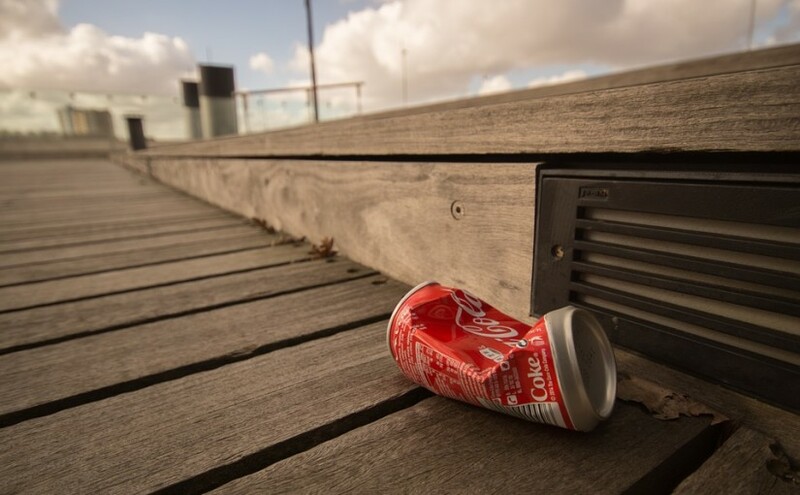 Litter may not always be at the forefront of people’s minds in our busy modern world, however statistics – and sometimes a quick glance at the area around you – show that we really do need to take action on this growing problem in the UK. Whilst it is suggested by Keep Britain Tidy that 57% of people in our country believe that litter is a problem in their area, it is people who cause the problem in the first place. And what a big problem it has become. Clearing up the litter dropped in the streets and green spaces in England alone is costing the UK taxpayer £1 billion a year. In addition to that, Scotland spend £75 million on keeping their land litter-free too. This is money that shouldn’t really need to be spent, and money which could be much better spent on public services such as the NHS. There are not just direct costs involved with the dropping of litter, but indirect ones too, such as: damage made to vehicle tyres, harm to animals, drain blockages causing floods and an increase in rat populations. This is of course just a few random examples; the scope for danger caused by litter is large. Keep Britain Tidy’s 2013 litter survey listed mental health and wellbeing, crime rates, damage by vermin and road traffic accidents as examples of important things that litter can have a negative effect on. There are far too many to list here. The RSPCA receives around 7000 calls a year regarding animals that have been injured by litter; this includes pets as well as wildlife. Our nation has turned in to a mass of litterbugs; 62% of people in England drop litter, although only 28% will admit to it. The problem is that, with so much money being pumped in to keeping our streets clean, some areas are indeed very clean, meaning nobody sees the problem. Out of sight, out of mind. Other areas, however, end up neglected, and with a limit on local funds they simply fill with litter. Even with the amount of money currently being spent on cleaning up the UK, there is still litter on the streets. Something needs to change – we need to stop dropping litter. Local authorities are able to hand out fines for those they see dropping litter, however this solution has caused controversy as it has become more frequent in our towns and cities. David Baker of Stourbridge in the West Midlands voluntarily collects litter 7 days a week for most of the year in his local area, but was recently handed a fixed penalty fine for fly-tipping due to placing a pizza box and a couple of his personal items of junk mail in a public litter bin. Meanwhile, a woman in Smethwick – Vanessa Kelly – was fined for feeding the ducks in her local park, as this was seen as littering by the council warden who ‘caught’ her in the act. The warden allowed her child to carry on feeding though, as he was deemed too young to prosecute! In theory the fines are a good idea, and should work as a preventative measure that puts people off littering and makes them think twice before dropping rubbish. However, as the above examples show, the definitions of littering and fly-tipping need to be generalised across the country in order for the system to be taken seriously. There were only 2,000 convictions out of 825,000 reported cases of fly-tipping in the UK – and that is only the reported cases. With such poor rates of punishment with regards to fly-tipping, it is no surprise that people are continuing to do it. As it stands the UK is paying way too much for a problem that is entirely avoidable. We need to work on methods of prevention, and renew our pride in our communities and ourselves. Thank you very much for your insight on littering. This has helped me tremendously with my school project. Hopefully, with the help of the world, we can stop littering. It is so frustrating to see streets with plastic bottles and wrappers discarded. About an hour ago, I picked up a carrier bag full just around the corner; sadly It will be just as bad again in a day or so. Children need to be taught to see littering as anti social, as do adults. We need a campaign to educate. Scandi countries don’t have this problem, it comes down to attitudes and what matters to us all. We have a a Face Book Page for our town called Sleaford Be Litter Free, we pick litter, we lend litter grabbers to groups such as the wonderful Sleaford Striders athletics clubs Plogging group. We try to encourage people to pick litter and many do, groups and individuals. How do we stop people dropping litter, are there any practical things we can do. We are always seeking idea and looking for experts to help us. Very interesting blog thank you. Cigarette butts a particular problem in our town.